This crash resistant HOBBY GRADE flying aircraft carrier is truly a sight to see. 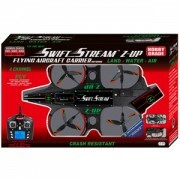 This 24.8” craft amazingly covers land, water, and air! At the push of a button you’ll watch as the rear blades tilt down as the unit ascends. Another push of a button allows the blades to tilt up as the craft takes off from the ground or water. With a travel distance of up to 200 feet, luminous front and rear lights, and an impressive range of motion, you’ll be assured the Z-UP is the real thing! 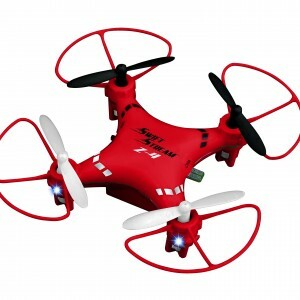 The drone you’ve been waiting for is here! 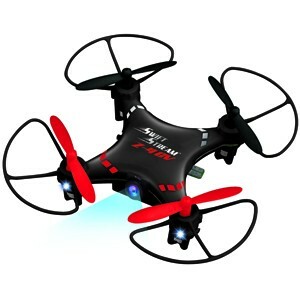 Able to fit inside the palm of your hand, this HOBBY GRADE Z-4 mini Camera Drone boasts incredible 3600 aerial flips at the push of a button, 2 amazing speeds, and 4 built-in LED lights perfect for nighttime flying and technical guidance. But that’s not all! Take your photography to the next level with real time videos and photos while in flight! Not only does this camera drone have the capacity to hold 20 minute videos and up to 400 photos, your shots can also be easily downloaded to your computer to print or share. The Z-4CV is sure to please beginners and experts alike! 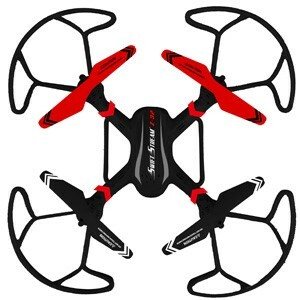 Fly up to 4 drones at one time! Records up to 20 minutes of color video and takes over 400 photos. 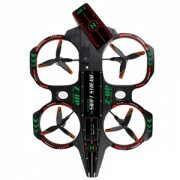 Whether you’re indoors or outside, you’ll delight in tons of flying action with the HOBBY GRADE Z-6. With the 2.4 GHz digital remote control, you’ll enjoy distances of up to 80 feet, 7 minute flight times, 3600 flips in all directions, and a wide range of motion that includes: forwards and backwards, up and down, left and right turns, side to side flying and hovering. Equipped with a special searchlight, you’ll always enjoy exciting expeditions. Our rapid-fire charge time ensures you’re never without flying action for long. 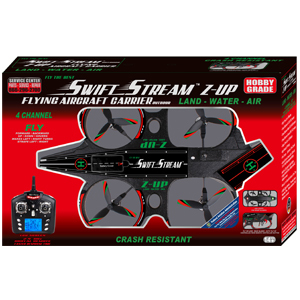 Take to the air today with the Swift Stream RC Z-6. The latest in technology is here! 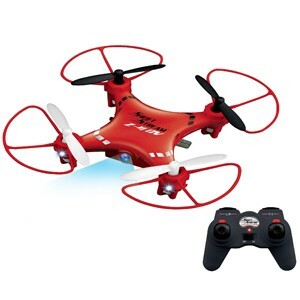 Our HOBBY GRADE Z-4 mini Drone fits inside the palm of your hand, but don’t let the size fool you! It’s the ultimate stunt machine—thrilling indoors and out! 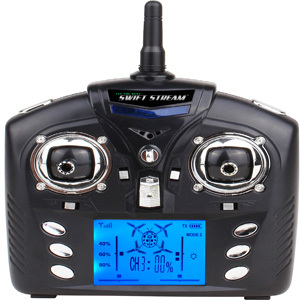 Two exciting speeds makes it ideal for beginners or experts, and you and your friends can fly multiple drones at one time with our responsive 2.4GHz digital remote controller. Enjoy 4 built-in LED arm lights for nighttime flying and technical guidance, 360◦ aerial flips at the push of a button, and more! The Z-4 is ready to fly right out of the box and backed by our top rated service department. 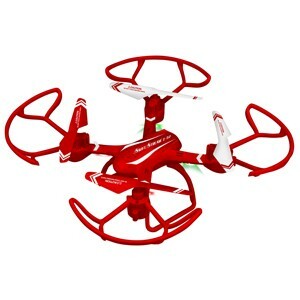 You can’t go wrong with this drone! 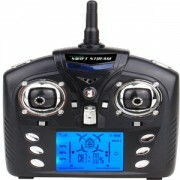 Fly up to 6 drones at one time! 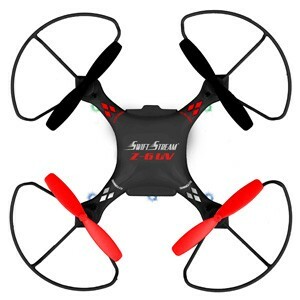 You’re sure to have an amazing flight experience with this HOBBY GRADE drone. Whether you’re under a beautiful blue sky, or stuck indoors during a storm—the Z-6 CV has you covered. 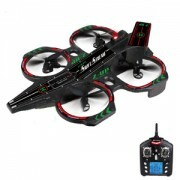 You’ll enjoy distances of up to 150’, 7 minute flight times, 3600 flips in all directions, and a wide range of motion that includes: forwards and backwards, up and down, left and right turns, side to side flying and hovering. 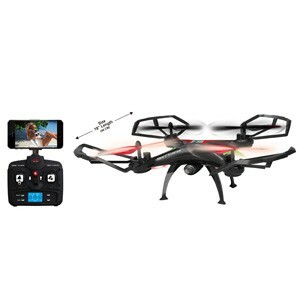 But that’s not all; this drone also comes with a 640 x 480 pixel undercarriage camera making it exciting to take breath taking videos and photos while in flight. The included micro SD card reader makes it easier than ever to download, print, and share your missions. If you’re ready for a one-of-a kind experience, this drone is for you! With the long range (100 feet) HOBBY GRADE medium size drone, you and your friends are able to fly up to 4 drones at one time! Dazzle your friends with 3600 Aerial flips and 2 amazing speeds. 4 built-in LED arm lights make it ideal for nighttime flights while helping the pilot with frequency and control settings. Best of all, install the landing gear and you’re ready for takeoff right out of the box! 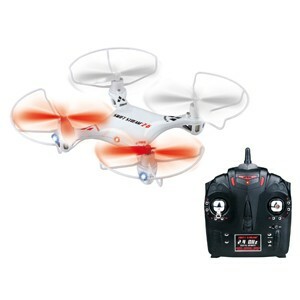 This extra-large 18” x 18” HOBBY GRADE drone is just right for the thrill seeker in you. Not only will you enjoy longer flight times and truly amazing stunts, but it comes decked with a Wi-Fi camera as well as a bracket for your action camera. Take your photography to the next level with real-time videos and photos. Not only that, but you and your friends are able to fly up to 4 drones at once and with our auto return feature, you’re always safe! You never have to worry about the device getting away from you. If you’re ready for a flight experience like non-other, then it’s time to give the Z-10 a try! 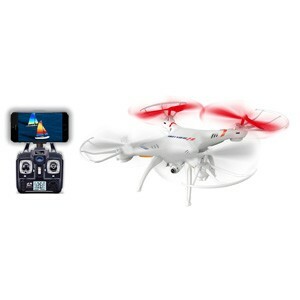 This medium size HOBBY GRADE drone is capable of taking photos while in flight, flying multiple drones at once, and performing all of your favorite stunts. Its built-in LED arm lights make it ideal for nighttime flights, and it’s even equipped with lights to cue the flyer of valuable technical information! Not only that, but you’ll also enjoy 3 exciting speeds, making the Z-32CV a memorable flight for beginners as well as experts.